7 Unique Mother's Day Gifts — Stevie Rozean Co. I always fall back on the same gift for Mother's Day. A nice candle. Yeah, she always likes it, but wouldn’t it be ideal to give her something that will blow her away and let her know how special she is? Gift giving is so difficult, especially when it’s for someone so special (hint hint, the woman who gave you life). To help solve this yearly problem, I created a list of meaningful gifts that will not only make her cry happy tears, but that also support small businesses in your community. 1. A hand painted family portrait or house painting by Stevie Rozean Co. I'd love to create some unique and personal art for your mom! 2. A subscription to a local flower truck or flower company. In Springfield, MO we have a couple flower trucks that make their way around town and drop off beautiful, unique bouquets to your doorstep every week. Get your mom a subscription to one of these flower trucks and she’ll have a reminder of how special she is for more than one day! If you don’t have a flower truck in your city, ask a local flower shop if they have a similiar program. My favorite flower truck in Springfield is Ozark Mtn. Flower Truck. 3. Handmade and personalized jewlery by Made by Mary. These simple necklaces and other pieces are stamped with a word of your choosing. Photo by Olive Paper Co.
4. 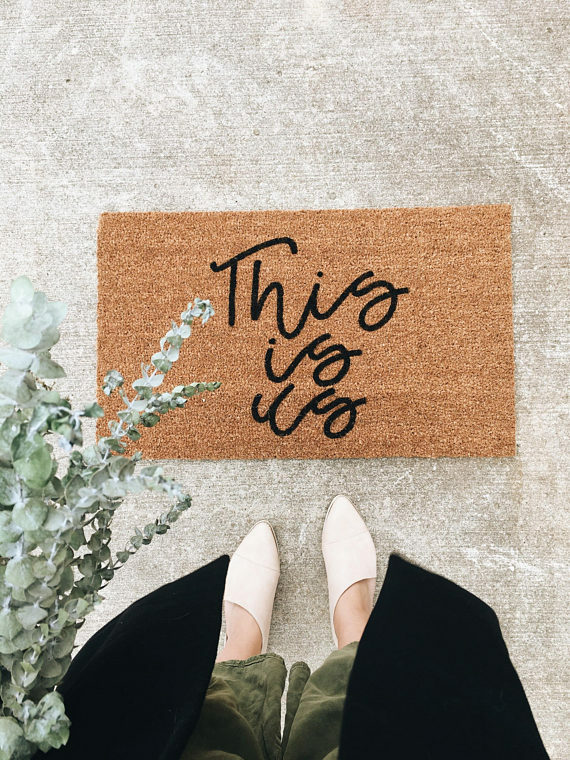 A hand painted doormat by Olive Paper Co. These mats are to die for! 5. A family photo session with a photographer in your city. Get those family photos updated! A few of my favorite photographers in Springfield, MO are: Beth Solano Photo, Ally Jepson Photo, Inner Images Photo & Hannah Arnzen Photo. 6. 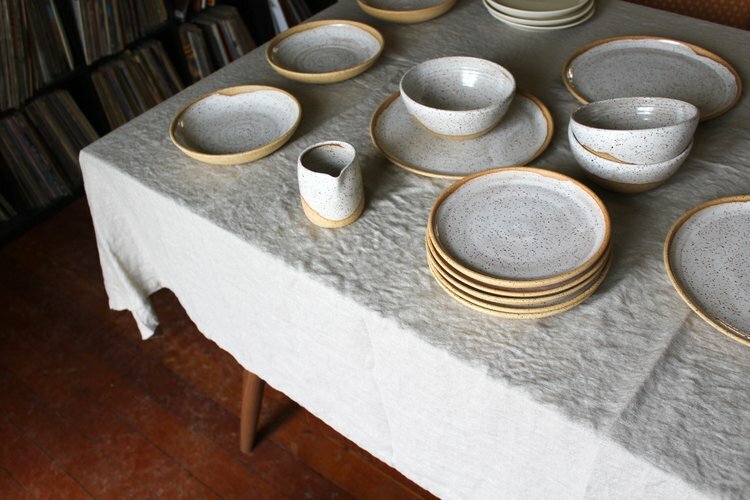 Handmade pottery dishes by Two Hands Full. Is your mom one of those amazing hostesses? I know mine is, and she loves using beautiful plates, mugs and more when guests visit. Two Hands Full makes GORGEOUS dishes by hand. 7. A yoga class for two. Take your mom on a date to try something new. Yoga is a great place to start and will help the both of you relax and make memories together! Let your mom know how much you love her this Mother’s day! If you have gift ideas you’d add to the list, leave a comment below!